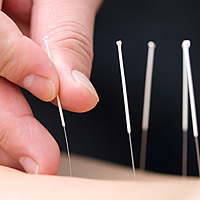 Medical Acupuncture (Dry Needling) involves inserting fine needles for a therapeutic effect. Overall, it is an adaptation of the Chinese method just using modern up-to-date knowledge of anatomy and physiology. Medical Acupuncturists no longer conform to the notion of Ying and Yang. However, we do aim to create homeostasis within the body. Throughout this course, reference is made to Traditional Chinese Medicine (TCM) as fundamentally the influence of Medical Acupuncture originates from this but TCM will not be taught. Very useful course with enthusiastic tutors who are very helpful and patient, giving you the confidence to do well. We will add a new skill of treatment to your highly skilled tool box. You will leave this OMT Training course with a great knowledge of Medical Acupuncture (Dry Needling) and how it applies to your treatments. 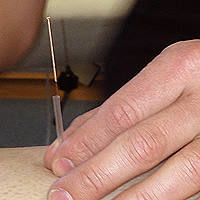 This OMT Training CPD Course is designed to introduce participants to the use of Medical Acupuncture (Dry Needling) for the purpose of muscular pain relief. This course is not designed to treat pathological conditions as taught to TCM Acupuncturists. The training will look at the most effective techniques taken from both Traditional Acupuncture and current Western Acupuncture, giving the students a sound background of knowledge and skill to fully use OMT Acupuncture techniques within their own practice. 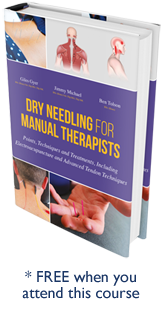 Designed to be a go-to reference for assessment and treatment planning in the clinic, this is a clear and concise handbook for students and practitioners of dry needling or medical acupuncture. Non-Allied health professionals should check with their provider to ensure all additional techniques taught can be added to their existing insurance policy.